Anna specialises in helping organisations at a strategic level, increasing the impact they have on disadvantaged young people. She has particular expertise in bringing together stakeholders from different backgrounds and in supporting organisations as they reflect on how they can improve their outcomes for disadvantaged young people. Anna shapes the strategic vision and growth of LKMco alongside the director, driving forward LKMco’s presence and impact in the sector. She spent the early part of her career in Lewisham, gaining valuable insights into the process of turning a failing school into a flagship academy. She furthered her leadership experience whilst teaching in Norwich where she led whole school initiatives, specialising in data analysis, creating tailored intervention packages and implementing school improvement strategies. Anna has been a mentor, a Learning Associate for Teach First and led a team of fellow teachers during the Teach First Summer Institute in conjunction with Canterbury Christ Church University. She has worked extensively in youth-work as a co-ordinator of an annual Quaker summer camp for seventy 11-14 year olds, developing their engagement with society and identity as young adults. She sits on the Curriculum Review Panel as they conduct their annual thematic review, is on the advisory board for Apples and Pears and is a trustee of the charity Friends Southen Summer Events. She is also a judge for the charity Never Such Innocence’s school poetry competition. 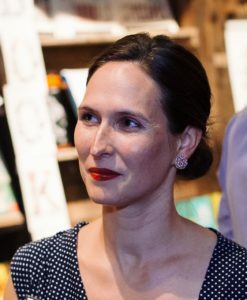 Anna holds a first class Honours degree in English and Drama and gained a distinction for her Poetic Practice Masters, both from Royal Holloway, University of London.